One of Germany’s largest utilities decided to embrace renewable integration last fall, not because of a shift in its climate change strategy or a push to reduce its carbon footprint. It was simply a matter of economic survival for RWE. The massive growth in customer-owned solar photovoltaics is turning entire neighborhoods in Germany into net grid exporters on sunny days. That’s killing the margins for traditional power generators like RWE. Some argue that the media's use of the term “utility death spiral” amounts to little more than fear-mongering, while others in the industry believe that the free fall is already starting to happen. “I grant [that] we have made mistakes,” RWE's CEO Peter Terium said after dismal 2013 financial results. “We were late entering into the renewables market -- possibly too late." Germany is hardly the only place where distributed energy is transforming the energy landscape. Solar PV is putting stress on the grid and on traditional utility business models in Hawaii and California. In Japan, the shift in the national energy mix is a response to the country’s post-Fukushima energy-constrained reality. In grid-challenged countries such as India and Brazil, microgrids and affordable renewables could be a path toward reliable electricity for hundreds of millions of people. The grid edge revolution is both a worldwide phenomenon and also a uniquely individualized affair. Large utilities that used to think of their customers as a predictable source of load and revenue now have millions of electromechanical, digital, commercial and social relationships to manage. Greentech Media’s Grid Edge Live 2014 conference, taking place June 24-25 in San Diego, will delve into the uncertainty and boundless opportunities facing a once-staid enterprise that is now being called upon to adapt in ways it never has before. Solar PV is the most obvious distributed generation resource, and the one that’s creating the most problems for utilities today. But there are also fuel cells and natural-gas-fired micro-generators, not to mention the small-scale energy storage technology that is bursting onto the scene. Mandates in California and New York and evolving offerings in regional energy markets are priming the pump for a true distributed storage infrastructure. Startups like Stem, Green Charge Networks and the reconstituted EV maker Coda Energy have stolen a page from SolarCity’s playbook by offering financing options that get batteries in buildings for no upfront cost. On the grid edge, there is already a universal set of devices that can help this transition, and which is included with every on-site energy installation: the inverter. Germany requires advanced functions for all of its solar inverter installations, and California plans to bring smart DG inverters to market by the end of next year. Although inverters are not an emerging technology, they will require “constant innovation” to meet the requirements of different regional markets and grid needs, according to Maxine Ghavi, global head of ABB’s solar business. It’s not just utilities that are adapting to the changing world of power delivery. ABB, one of the biggest names in global power automation, has a strategy in place to reposition its power systems division with a focus on systems, services and software, rather than engineering, procurement and construction. Utilities and legacy vendors are not only rethinking their business in terms of devices. After decades of selling proprietary systems, grid vendors are embracing a more distributed, flexible computing and communications approach. Silver Spring Networks, Cisco Systems, Itron, Elster, Landis+Gyr, and the vendors in Duke Energy’s “Coalition of the Willing” are all opening their devices to standards-based messaging protocols, common data formats, software-defined sensor functionality, and other such capabilities. Interoperability and standards are key to emerging technologies such as microgrids. There’s still a long way to go on microgrids in particular, a topic which Magdalena Klemun, grid analyst at GTM Research, will dive into during Grid Edge Live. Behind-the-meter technology standards are also merging with the grid edge. California will start to require demand-response-capable thermostats in new buildings and retrofits starting this summer. Japanese giants like Panasonic plan to connect every battery to the internet. 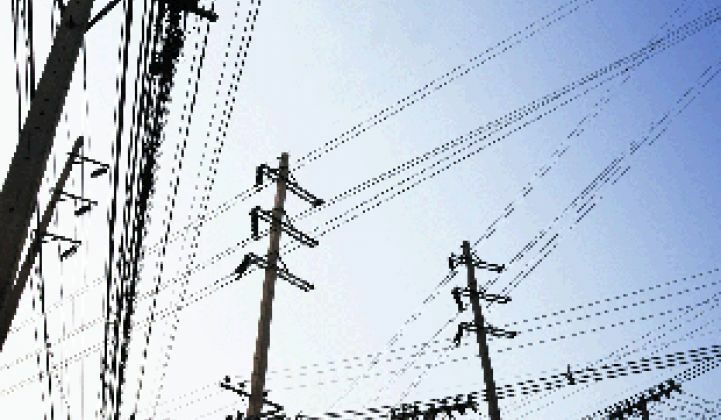 As assets owned by customers and utilities alike connect to the internet and back to the larger power grid, it increasingly raises questions about security and interoperability. The grid edge is very much part of the emerging concept of the “internet of things,” and that means lots of data. Big data has been a top-line smart grid sales pitch from nearly every corner of the vendor community, from IT giants like Oracle and SAS to power automation players such as Schneider Electric and Siemens to startups C3 Energy, AutoGrid and Verdeeco. While utilities need help handling the exponentially increasing streams of data coming off everything from cutting-edge power plants to grid-edge devices, it is still much harder for utilities to make the case for data analytics in the same way that other industries have. 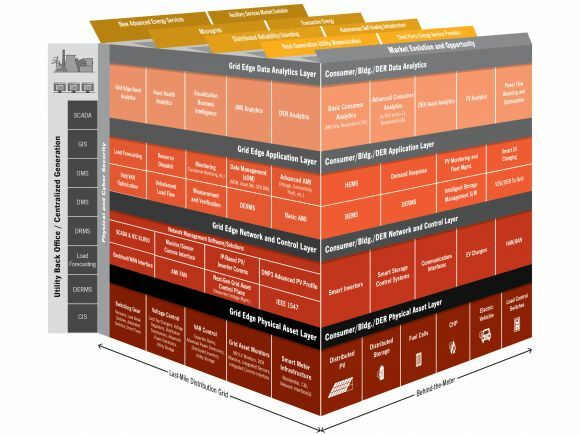 It’s unclear whether utilities can capture the 11x multiples ascribed to top-line data analytics deployments in mainline industries like retail and telecommunications. Mainly, that’s because most utilities can’t attract new customers, or poach them from their competitors -- although reducing customer “churn” and bundling technology as add-ons to attract new customers are definitely approaches that the world’s retail electricity providers are focusing on. Opower’s so-far successful IPO is a testament to the perceived value of data analytics that allow utilities and consumers to take action on energy information. For other energy startups in the residential market, the next frontier could be energy disaggregation, which teases apart whole-home power signatures to tell one appliance’s consumption patterns from another with high levels of statistical accuracy. But for now, utilities are mainly looking to analytics to help them cut costs, as well as to justify the billions of federal and state dollars they've poured into projects over the past few years. Smart meters and grid devices are being turned into energy theft detectors, transformer health monitors and outage locators, as San Diego Gas & Electric, the host utility for Grid Edge Live, is doing with its new outage management system. But for every advanced utility making investments in grid analytics, there are many more that struggle to collect, store and make use of the data. The traditional back-office utility data engine has its limitations, including legacy structures that silo each program's data from others, and batch-processing techniques that take a day to turn data into customer-ready reports. Leveraging data is difficult not only between back-office silos, but also between silos in utility corporate structures. For utilities that have focused on change management as they roll out technology, some of which will have representatives speaking at Grid Edge Live, the difference in operations and efficiency has been transformational. The move to embrace changes at the grid edge has, for the most part, not come from within utilities, although there are exceptions. Utilities have invested as much as they have so far in solar, wind, energy efficiency, demand response and the smart grid under some regulatory duress, and they’re unhappy to see the assets they’ve underwritten be turned toward their financial disadvantage. For utilities that have relied more on demand charges for revenue during peak demand, the advent of customer-sited storage threatens to take away that revenue stream. California’s big three investor-owned utilities are putting up roadblocks to customers getting their storage-backed solar systems connected to the grid, even as the utilities pilot their own versions at DOE-funded test sites. But there’s opportunity to be found in this crisis, and it lies in being part of the distributed energy revolution. NRG Energy CEO David Crane is a bomb-thrower on this front, accusing the industry mainliners of making “shockingly stupid” investments into traditional, centrally controlled assets and ignoring their new energy-enabled customers. For regulated, vertically integrated utilities, the decision to invest in new services is not entirely their own. Utilities such as Southern California Edison and Duke Energy are investing in commercial-scale solar and energy storage, but only in territories outside their regulated service areas. Eventually, the legacy rate recovery schemes of paying utilities for kilowatt-hours delivered, and basing any rate increases on inflexible cost-of-service calculations, will have to change. But are state regulators moving fast enough to overhaul a system that is as outdated as some of the grid itself? Utilities need to be able to take a stake in innovation, and to bear the risks of making money when they succeed and losing money when they fail. “We need to allow utilities to use technology and to fail,” Clark Gellings, fellow at the Electric Power Research Institute, said during DOE’s ARPA-E Innovation Summit. But some changes are coming. In the deregulated market of Australia, electric retailers install rooftop solar. Sacramento Municipal Utility District is moving its entire customer base to variable pricing. Texas is re-evaluating its ancillary services market. San Diego Gas & Electric and other utilities are offering premium peak-time rebates to customers who have already purchased their own smart thermostats. In Pennsylvania, Comcast has teamed up with NRG to sell electricity. It is unclear how fast the changes will sweep beyond isolated pockets in this country and the world, or whether change will come from innovative regulators or be demanded by the market. But the transformation at the grid edge is already changing the electricity sector far faster than many predicted. “Industry transformations such as the one we’re witnessing now are often enabled and/or led by technology innovators," said GTM's Thompson. "Recently, Greentech Media identified the Grid Edge 20, a collection of companies that are leading the charge in moving the industry forward. We’re happy to host these companies and many more at our largest and most diverse conference to date, Grid Edge Live in San Diego on June 24-25." To be part of the conversation all year round, join other energy leaders in our Grid Edge Executive Council. The next meeting will take place on June 23 in San Diego, just before our Grid Edge Live conference begins.